But in light of Marfan Awareness Month, I’ve been reflecting on that conversation. My views have changed from wanting a celebrity who could make my life easier to hoping that every person with Marfan syndrome or a related disorder—famous or not—is diagnosed, feels supported, understood, and comfortable using their story to bring awareness in a way that works for them. That said, there is still something in me that feels excited when I learn that a famous person is part of our Marfan community. I came up with a few key points about why it matters to me. Maybe you’ll be able to relate, or maybe it will inspire you to think of different reasons of your own. They remind us we are not alone. When Andy Erickson was a finalist in NBC’s Last Comic Standing in 2015, I was so excited. Watching her was like watching a long lost cousin. She was built like me, moved like me, and her sense of humor was similar to mine. I will confess that I actually made my family miss some of her jokes by shouting out things like, “Hey look, she moves her hands just like I do!” Growing up, I was the only person with Marfan in my family of nine. People frequently commented on how much my siblings looked alike and then they would ask me who I looked like because I was built so differently. Andy reminded me that I’m not alone in this journey and that there is enough laughter, joy, and silliness to carry us through. They remind us we can achieve big things; that limitations don’t have to limit us even if they may change our path a bit. Peter Mayhew went from hospital orderly to actor because he was featured in a local news article about people with extra-long feet. The article caught the eye of a producer looking for someone really tall for a role and his career was born…thank you, Marfan syndrome. He gave life and personality to the character of Chewbacca all while navigating health issues that interrupted filming during one Star Wars film, and landed him in a wheelchair for two years at another point. He’s been known as someone who approaches life with courage, warmth, and loyalty. 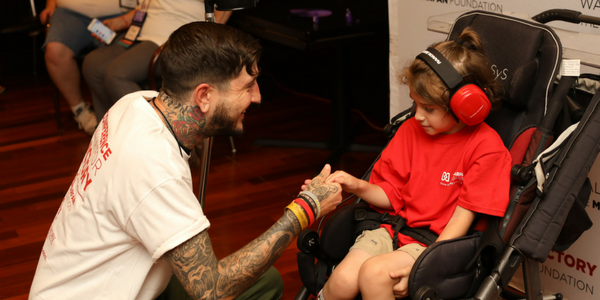 Austin Carlile energetically pursued his music career as lead singer for Of Mice & Men while dealing with limitations from Marfan syndrome. (He stepped down at the end of 2016 to focus on some medical issues.) He has been passionate about raising awareness and encouraging our Marfan community. He has given us an example of how to change gears with grace, spirit, and joy when we need to put our health first. Troye Sivan, an Australian actor, singer, songwriter, and YouTuber, is mildly affected with Marfan. His tall, slim build and openness about his joint laxity have raised awareness of Marfan characteristics and have caused some of his fans to choose to investigate when they see similar features in themselves. They remind us that our impact can outlive us. Vincent Schiavelli took measures to care for his health and even had heart surgery during his acting career. He was an honorary co-chair of The Marfan Foundation, worked closely with Marfan teens at the Foundation’s annual conference, and worked to raise awareness all while making more than 120 film and TV appearances and authoring three cookbooks and numerous articles before cancer ended his life at age 57. They remind us that everyone, even those who don’t actually meet diagnostic criteria or carry the genetic mutation, can do a lot to spread awareness. Michael Phelps, Olympic swimmer and multiple gold medalist, does NOT have Marfan syndrome. But the buzz created by his long arms, slender physique, and flexibility has raised awareness. The features have been published numerous times in articles about him, which increases awareness and causes people to get evaluated. Famous people are first and foremost people, and I don’t want their fame to minimize that truth. 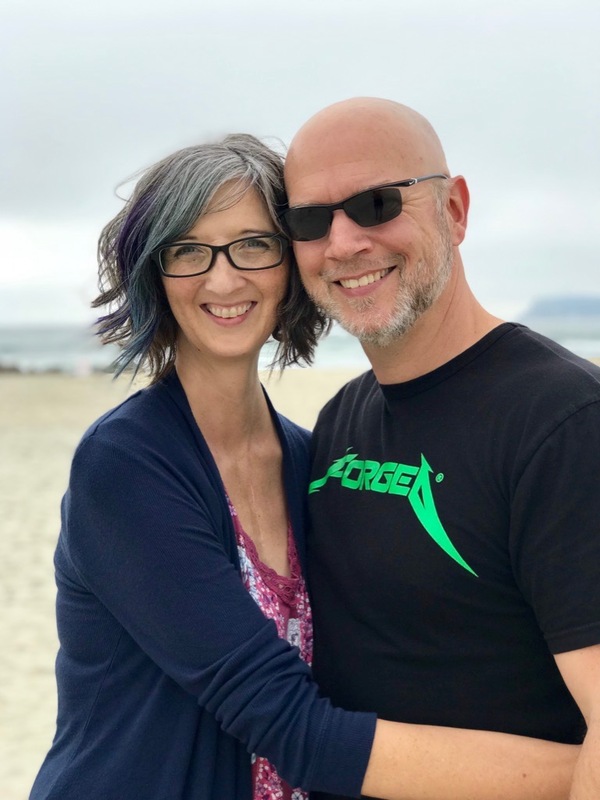 Seeing the way they’ve managed the unique joys and struggles of living with Marfan syndrome (or the suspicion of it) in the public eye is encouraging. I’m thankful they’ve chosen to share that with us. 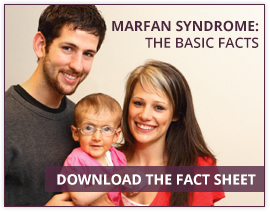 Share your story on social media during Marfan Awareness Month and all year-long. Make sure you use our hashtag, #KnowFightWin. If you’d like to write something longer for The Marfan Blog, you can submit it for consideration to publicity@marfan.org.